Get other contents involved with writing! 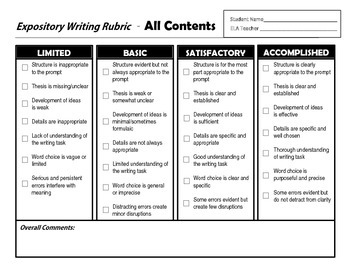 With this user friendly rubric, all content areas can easily assess student writing. This rubric is based on the STAAR expository writing rubric for high school.